'All About Presentations' by Jazz Factory: What is the ideal image size for PowerPoint? 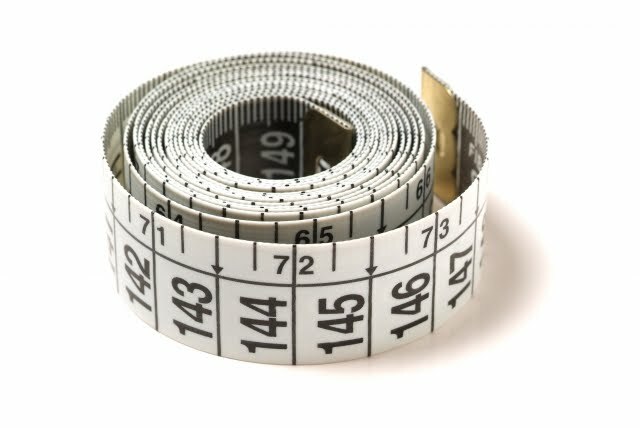 What is the ideal image size for PowerPoint? How do you then choose which size to download? My experience tells me that users just Google for an image and choose the one they like. Rarely do people worry about the size. The outcome: A small resolution image when brought onto PowerPoint becomes hazy especially when you stretch it to full screen. 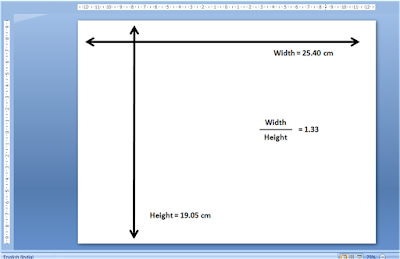 What is the ideal picture size for PowerPoint? Any image size above 640 x 480 pixels is good enough for PowerPoint. The higher the resolution the better. If you stretch an image of 640 x 480, it will fit the screen and look good. To search an image larger than 640x480 on Google try this. Go to Google Images -> type your keyword and search -> Click on 'Larger Than' (it is on the left of your screen) -> Choose 640 x 480. That's it. All the images which Google will show will be suitable for PowerPoint. Remember: If your digital camera or your mobile camera has a resolution of even 1 megapixel, that is good enough for PowerPoint. I will discuss more on resolution in my next post. 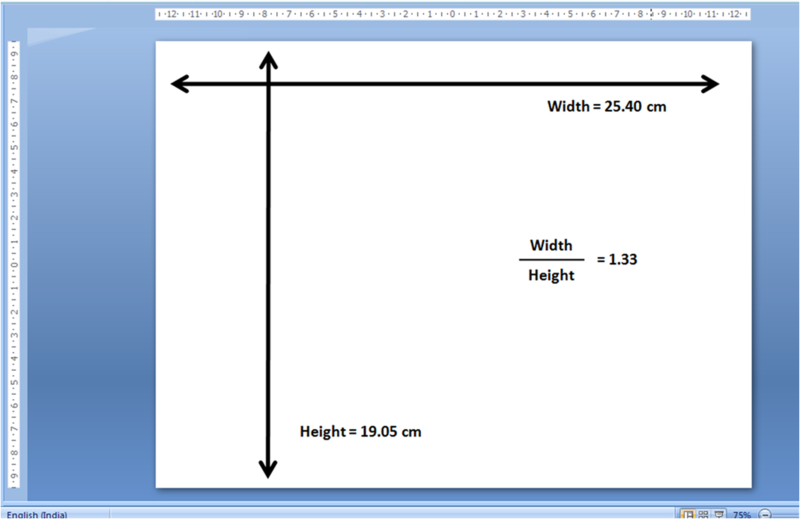 Remember that the width : height ratio of PowerPoint slide area is 4 by 3 (which is the same as 1.33 by 1). So images whose width by height ratio is 1.33 by 1 will fit in the slide area perfectly. Examples 640x480, 800x600, 1024x768. Images whose ratio is not 1.33 by 1 need to be cropped to fit the slide area completely. Thanks for the great information. Of course, the DEFAULT height ration for PowerPoint is 4:3. I've gotten used to setting that ration to 16:9 or 16:10 for that widescreen look. I have to scale my images accordingly. Thanks again for the good stuff! Poza, while this is true, if the picture is too big, it may slow down your machine, which in turn slows your presentation. SO it actually makes sense to scale down high resolution pics to smaller size. @Charlie Great to know you like the stuff on the blog. @Amey Your point is taken. We must scale down our high res images to low res. The best way can be to copy the image and paste as PNG. Or open it in MS Office Picture Manager and resize the picture. But if you want to err, err on the side of a larger image. i go for medium (640 x 425),which is very comfortable for me..
that's absolutely fine. Though a higher size (if available) should be chosen. I would be like this article for the how can insert the image with ideal size.Some time problem occur that for image ratio.So thanks for this stuff. I always use large resolution image for my presentations. They make me feel confident that my presentation looks professional. Vivek, thanks for the info. You don't have to use Hi-Res pics for your presentations. The 72 dpi will be quite enough. The most important is aspect ratio and it depends on what kind of equipment you planning to use. Copyright. If you use this material, please provide a link to the website.. Powered by Blogger.